89 registered members (53' Stude, AndyB, andyd, alphadog, 2dogs, 11 invisible), 1,934 guests, and 26 spiders. I thought this chart was interesting. It's certainly not all inclusive but details some things other than the commonly thought of transportation fuels, lubricants, and asphalt as well as those products. 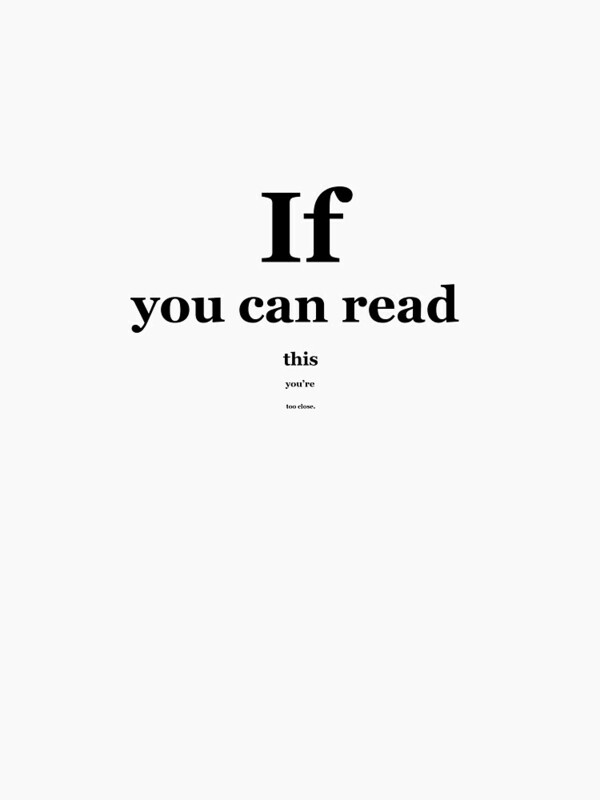 "open image in a new tab"
Last edited by MolaKule; 03/31/18 11:40 AM. It�s interesting that the US refining complex was set up for heavier oils, importing a lot from Canada, Mexico and Venezuela. Starting in 2010 lighter oils became available from Shale plays such as North Dakota and now the Permian in Texas. Much of the light oil is exported. Exxon is now expanding one of their refineries to handle more light oil oil from Texas. The lighter oils get refined at the upper end of process described buy the OP. Last edited by Snagglefoot; 03/31/18 11:48 AM. Not quite the case. For example, refineries in California running local crudes are running heavy crudes and that's how refining started there. They were revamped for primary Alaskan crude and Asian crudes in later decades, but so.e still run local heavy crudes exclusively. Citgo refineries in Louisiana and Texas run heavy Venezuelan crude oils. The Marathon refinery in Ohio ran block operations on heavy sour crude (some Canadian) and light sweet crude producing road asphalt on heavy sour crude and roifer's asphalt on light sweet crudes. The Marathon refinery in Louisana runs both medium sour and heavy sour crudes, the Marathon refinery in Detroit and the BP Whiting refinery near Chicago both were revamped for running more Canadian sour crudes. Canadian firm Husky owns several US refineries and a 50% stake in another US refinery as a more economic option for refining heavy Canadian crudes than building upgraders from scrtatch. Many US refineries originally designed for light sweet crudes either were shut down or converted to run more heavy sour crudes when light sweet crudes had a premium pricing (a wider sweet - sour, light - heavy differential pricing). Some refineries have multiple refining "trains" wuth some sections refining light sweet crude and other sections refining heavy sour crude. But some still remain profitable on light sweet crude alone such as the Valero Memphis refinery and Marathon's Texas City, TX and Robinson, IL refineries. All crude oils from nature are a mixture of light and heavy materials. The only ones that don't produce some sort of residual material are synthetic crudes where such material was already rendered to petroleum coke solids, and natural gas liquids known as condenates. The sweet crude refinery I worked at in South Texas was running the lion's share of Eagle Ford production, it has a solvent deasphalter so the remaining residue is actually too heavy for use as asphalt and is blended with other material for heavy fuel oil. That residue softening point exceeded 200�F and when the asphalt penetration test was run on it where normally the depth a weighted pointy bit of metal sinks into the sample was measured; with this residue from highly refined light sweet crude it was a negative result as the needle bounced back instead of penetrating! Last edited by Nyogtha; 03/31/18 05:47 PM. Oil consumption is a sin. I used to use syn, now whatever is on sale and never had problems. This noob knows stuff. 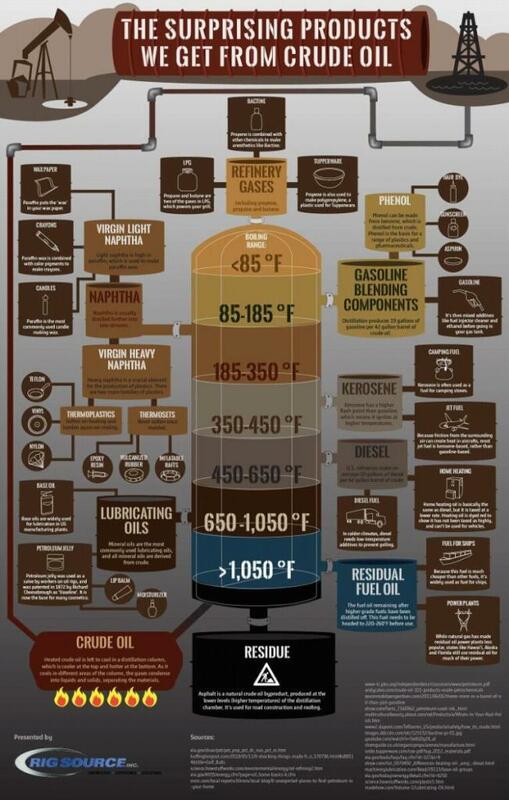 I love that the chart mentions crayons as a product of crude oil. I still use crayons, especially when the grandboys are here. 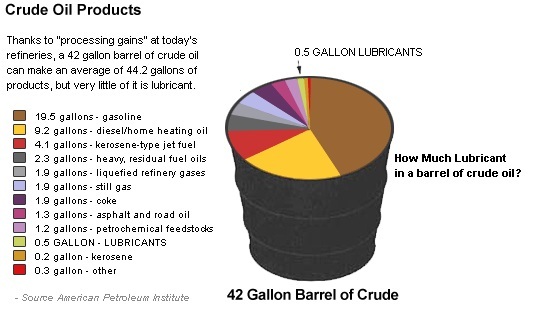 I have an update for the chart: distillation now produces 33 gallons of gasoline per 42 gallon barrel of crude oil. Post up the link, these things are extremely generalized and the chart does NOT refer to only distillation but to (someone's average of some data set) overall refining of crude ool. HINT: objects like crayons and nylon are not produced solely by distillation - neither are transportation fuels. Last edited by Nyogtha; 07/27/18 12:01 AM.